Reading a lot about what Tokyo has in store for the Olympic venues for 2020, I decided to take a look and rummage through some of my old photos and visit a few of the sites before they start construction. I’ll be starting with some of the venues that I have photos for and then expand as I get more time to visit the other venues. This will be an ongoing series that will focus almost completely on the “Heritage Zone” which is at most 8km from the centre of the Olympic Village. Note: This series may not have as many photos as it is sometimes difficult to get photos and find the time to go and take them. Today, we’ll start with the Meiji Jingu area. Meiji Jingu was one of the main areas of the original 1964 Tokyo Olympics. With a new Olympic Stadium and small improvements to other facilities, this area will be a key link between the original 1964 Olympics and the upcoming 2020 Olympics. I mentioned the Olympic Stadium in September when I wrote about my visit to the FC Tokyo game in August. The current Olympic Stadium is an old building with aging facilities. It has been really well maintained but it is definitely showing its age. The need to refurbish the building is important but they will be removing a lot of the main structure. I’m not sure how much of the original structure they will keep, but my feeling is that only the base will be maintained and the rest will be built on top and around it. I think they will be having a huge promenade around the outside and the entire new stadium will look like a gigantic bicycle helmet. It looks great on paper but we’ll have to wait and see what will happen in the future to see if it will look just as good in person. There is already a lot of squabbling about the costs and the size of the structure and things are very likely to change in the near future. Currently, I am hesitant to call it a refurbishment as it looks like a complete overhaul with a nearly new stadium on top of the existing foundation. The Olympic Stadium is planned to become an 80,000 seat stadium for the opening and closing ceremonies as well as a venue for athletics, football, and rugby events. 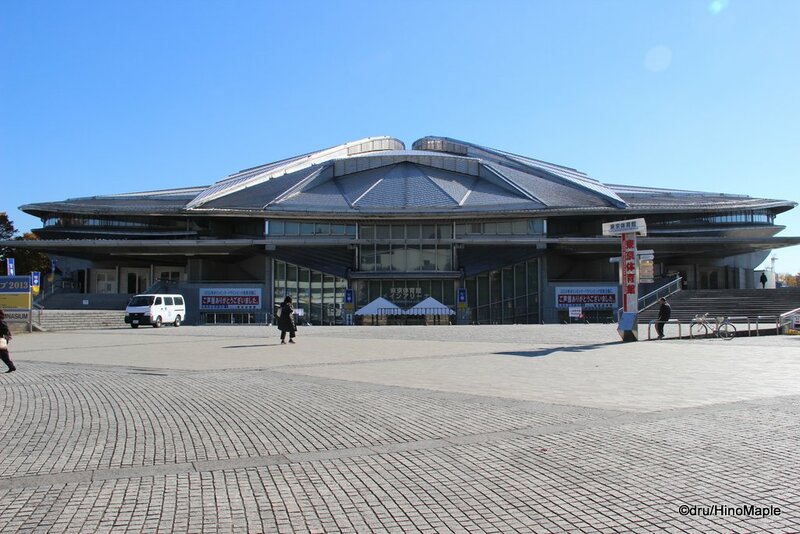 Next door to the Olympic Stadium is the Tokyo Metropolitan Gymnasium. 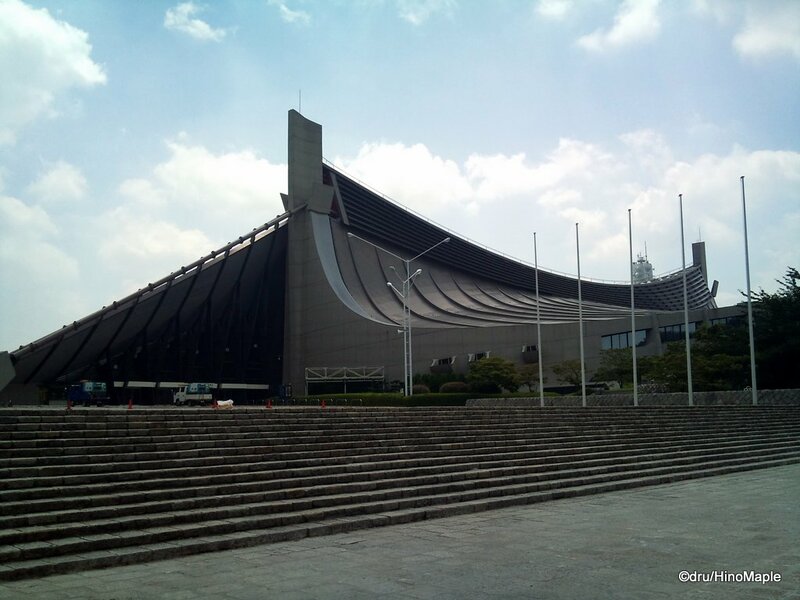 Originally built before the 1964 Olympics, it was rebuilt or significantly renovated in 1990 by Fumihiko Maki, a famous architect. It was designed to look similar to a samurai helmet and has held various world championships. The most recent world championship to be held there was the 2011 Artistic Gymnastics competition. I expect them to refurbish the stadium a little, something akin to giving it a fresh coat of paint. In 1964, the Tokyo Metropolitan Gymnasium was used for gymnastics, but for 2020, it will be used for the table tennis events. The Yoyogi National Stadium is a very unique structure. 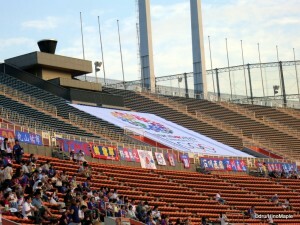 Located next to NHK studios in Shibuya, this stadium is hard to miss. With its suspended roof, it has kept its modern look since 1964. The building is often used for various sports including hockey and basketball and it often has concerts as well. I believe Ayumi Hamasaki has her annual New Year’s Eve concert at the stadium each year. You can bet that the stadium will have a lot going on as there are large concourses outside of the stadium where you can easily put various vendors. I doubt there will be much going on at the venue before the games but it will have some renovations to bring it up to scratch for the Olympics. 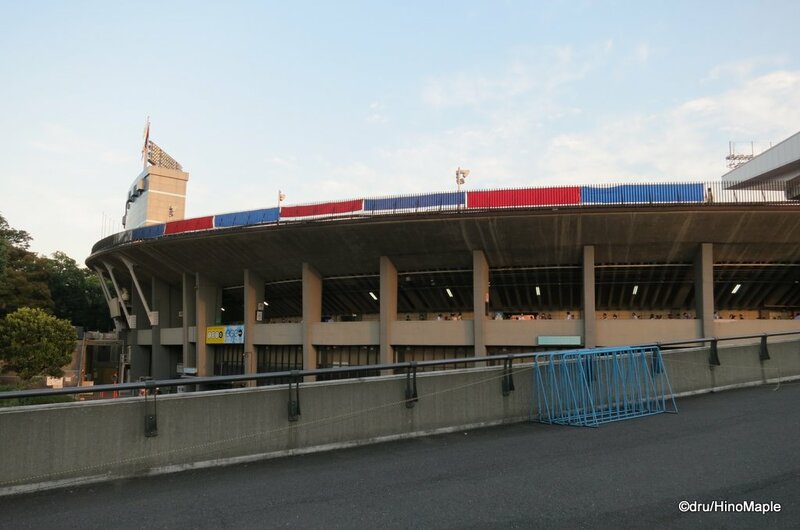 In 1964, the Yoyogi National Stadium held the swimming and diving events, while the adjacent annex building was used for basketball. For 2020, the stadium will be used for the handball events. This entry was posted in Olympics and tagged 2020, 2020 Olympics, 2020 Tokyo Olympics, Gymnasium, japan, Jingu, Meiji Jingu, Metropolitan Gymnasium, National Olympic Stadium, National Stadium, Olympic Stadium, olympics, tokyo, Tokyo Metropolitan Gymnasium, Tokyo National Olympic Stadium, Tokyo Olympic Stadium, Tokyo Olympics, Yoyogi, Yoyogi National Stadium by Dru. Bookmark the permalink.